Until the winter of 1824, the Bend area was known only to native Americans hunters and fishers who thrived off the areas rich streams and lakes and an arid climate home to bear, elk, mountain lions and deer. Members of a fur trapping party led by Peter Skene Ogden were the earliest visitors to this beautiful area, followed by John Fremont and other Army survey parties. 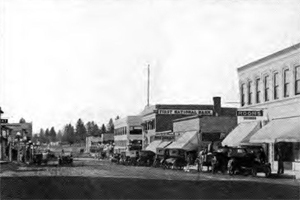 After west-bound pioneers came through and forded the Deschutes River at “Farewell Bend”, a small community developed around the bend in the river, and in 1905 the community was incorporated as a city with approximately 300 citizens. Following the Oregon Trunk Railroad completion in 1911, the growth of the vibrant Bend community began. 1914 brought two major lumber companies, and timber became the mainstay of the local economy. Mt. Bachelor ski area became the catalyst for Bend’s visitor industry, generating industrial and commercial expansion. Wood products are still Bend’s leading economic factors, with tourism the second largest industry. 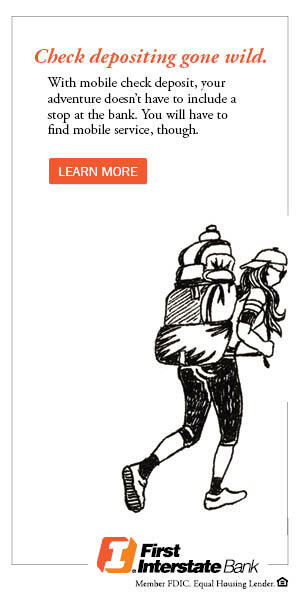 Along with other diversified industries, Bend is Central Oregon’s retail hub. Bend prides itself in keeping with a deep-seated tradition of welcoming visitors and newcomers to the historic roots and now vibrant community of Bend, Oregon. Though the sawmills have long been closed, the lifestyle and vibrant culture of a once booming and still shining town remains. Today, the old Brooks-Scanlon mill that is “The Old Mill” is humming once again, not with mills, but with the sounds of people enjoying vibrant shopping, dining and entertainment by day and night. Bend’s historic Downtown area, full of art, mouth watering cuisine and unique artisan shops is bustling with year-round activities and events. Relax on the grassy Drake Park and listen to free summer music while indulging in tastes from Bend’s finest restaurants and eats.